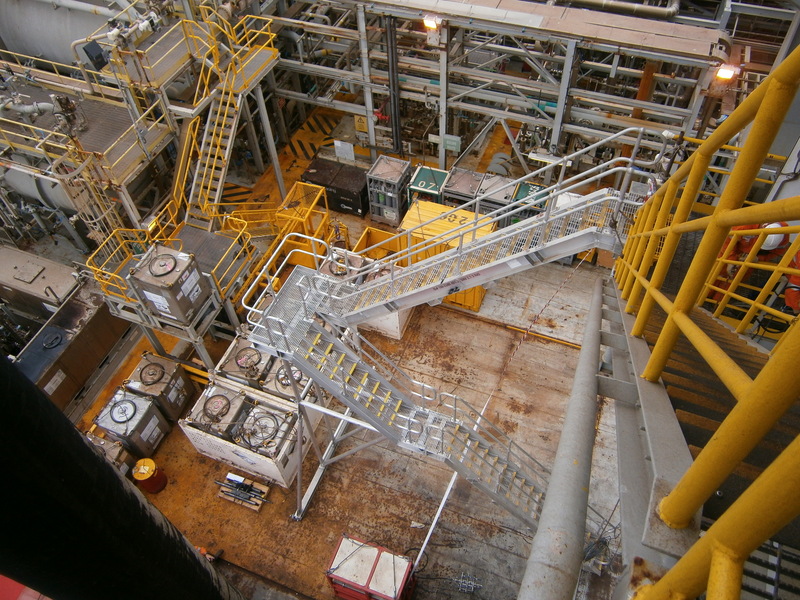 A light, modular stairway was required to quickly and safely access the Vermilion Oil and Gas (VOGA) Wandoo A platform helideck from the Noble Tom Prosser (MODU) cantilever deck 7.5 metres above. 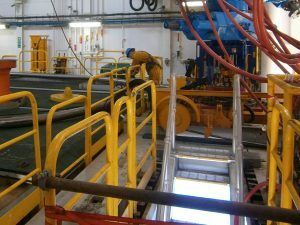 Cube Offshore were contracted to design, manufacture and test a fully functional solution. 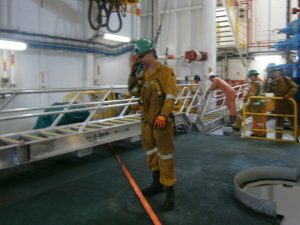 Several months later, a similar requirement arose to safely access the Wandoo B platform main deck from the Tom Prosser cantilever deck. 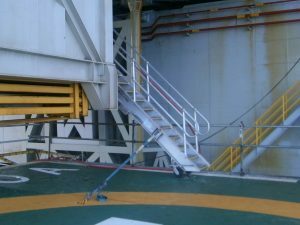 This configuration resulted in a 9.5m vertical separation between decks, the landing area was more remote and the stair was to remain attached to the cantilever during skidding activities. Transport – split into two modular parts for road transport & manual handling into position. 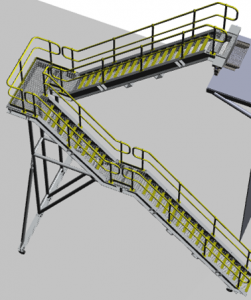 Each part certified for offshore lift so no baskets required. 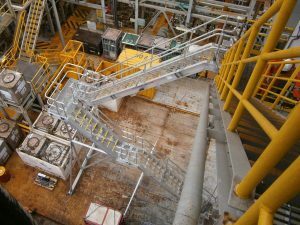 The Wandoo A stairway was to delivered on schedule and to budget. 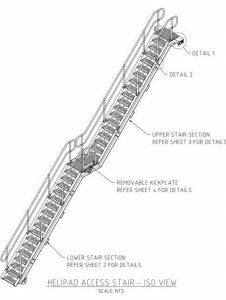 The stairway was transported, assembled and deployed safely and quickly. The requirement at Wandoo B was not forseen by VOGA. However, Cube was able to reuse the two existing halves by adding a middle section (see photos below). This creative design for a new application saved VOGA significant time and cost. All pre-existing design requirements were met.